Does The Low Cost JLL CT100 2-in-1 Elliptical Cross Trainer Exercise Bike Do Enough For An Accessible Workout? The JLL CT100 2-in-1 Elliptical Cross Trainer Exercise Bike is one of those models that looks as though it treads a good line between a strong, helpful workout machine and something fairly accessible for newcomers. There are sure to be some concerns on first impressions of this fitness cardio workout machine because of the low price point. This is about as affordable as its gets and there aren’t to many features on board. Some will wonder if it is all too basic to be of worth or actually a bargain. So which is it? What benefits have buyers appreciated with this JLL Cross Trainer Bike? 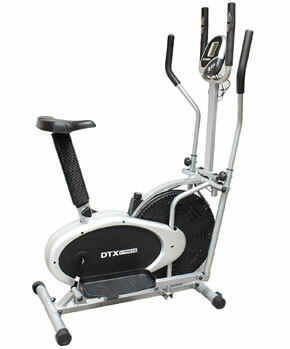 It is clear straight away that this is a 2-in-1 elliptical trainer bike that looks as though it means business. There is a simplified shape with no real attempt at creature comforts, no colour and that large mechanical flywheel at the front. Buyers set it up, get on and enjoy their daily work without much fuss. There is a multi-level resistance system for the intensity, a simple display for time, speed, distance, calories burned and transport wheel to move it into place. There is also a heart rate monitor, but there are few comments either way to judge whether this is a worthwhile inclusion. 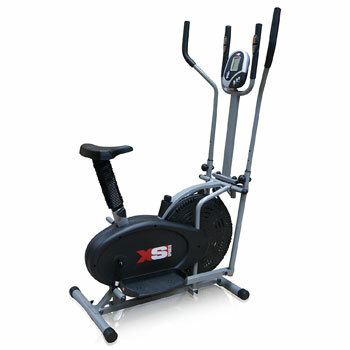 The specification also talks about the extreme versatility of the JLL cross trainer in regard to its abilities and its suitability for all kinds of users. This seen in the use of the comfort pedals, 100kg user weight, the 4 adjustment levels on the handlebars and adjustable seat height. The majority say that it is pretty easy to adjust with the little resistance knob, although some have hacked it to increase the sensitivity. The different adjustments on the handlebars and seat should provide comfort for most users, but there is always an upper and lower limit. There is pretty good motion and workout on most levels. There are occasional reports of noise, but not that many. 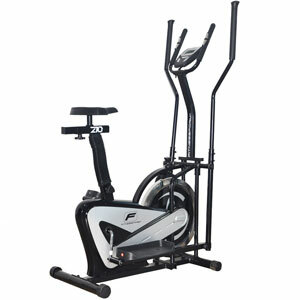 What problems have buyers highlighted in their reviews for this JLL CT100 2-in-1 Fitness Cardio Workout Machine ? Disregarding any criticisms on the range of programs or the small number of people that struggled to adjust the handlebars of seat far enough, the biggest problem for most users comes with the assembly. Some found that the instructions in the box just weren’t clear enough on some elements and that the parts were a little heavy. Those that say that the process was easy often had an additional pair of hand to make thing simpler or previous experience. Summary: what does this all mean for a final recommendation on this JLL CT100 Elliptical Trainer Bike? It is hard not to recommend this machine because of the options available to users of different needs. 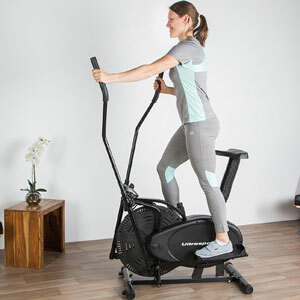 Once it is up and running, there are few complaints on the construction or functionality of this machine and the majority seem to be able to get the workout that they need with the programming, resistance and adjustable elements. The low price was a key selling point to this JLL cross trainer bike for many and while some expected a basic, underwhelming piece of kit, a large number were pleasantly surprised with the quality offered. 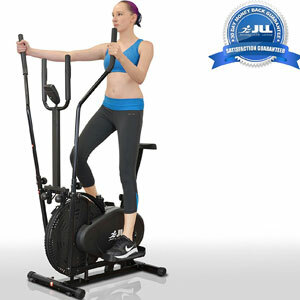 Find more reviews about the JLL CT100 2-in-1 Elliptical Cross Trainer on Amazon here.